We are commanded in scripture to Go and Tell in Matthew 28 and Acts 1. Sligo’s Great Commission Budget designates almost one-fifth of what is given to the church to mission organizations and mission trips. Our church is committed to supporting the North American Mission Board and the International Mission Board of the Southern Baptist Convention through special seasonal offerings. We designate 12% of our general budget to support these mission organizations as well. Hundreds of missionaries serving around the world are carrying out the Great Commission with the support of the Cooperative Program. You can click on the links below to learn more about these amazing organizations through which God is blessing many people in U. S. neighborhoods, and in Nations on every continent. Our WMU is comprised of ladies of the church who have a heart for missions. We meet together at 9:00 a.m. on the third Sunday of each month to plan and/or work on mission projects. These include local projects, as well as national and international ones. We also spend time praying for missionaries and discussing ways to promote mission awareness in our church. Our goal is to provide ample opportunities for our congregation to become involved in missions. Sharing the Gospel at the feeding center. Sligo Baptist Partners with Crestwood Baptist and other local churches in an annual mission trip to Santiago, Dominican Republic. We spend a week serving with our sister church in Santa Lucia, “Iglesia Bautista del Cuerpo de Cristo.” A small church at the base of a large landfill outside Santiago. The residents of the village there survive by picking through the rubble and trash that looms over their tiny dirt floored homes built from various items they salvage. Luis Vargas (Pastor) and his wife Reyna (You can view a video from Reyna Vargas on our Facebook page) serve the people of the village through leading worship on Sundays, facilitating activities for the local children and adults, as well as operating a feeding center in the church which feeds around 100 children a warm meal six days a week. Please pray for them. Their work is difficult, but they serve daily with the joy of Christ in their hearts. 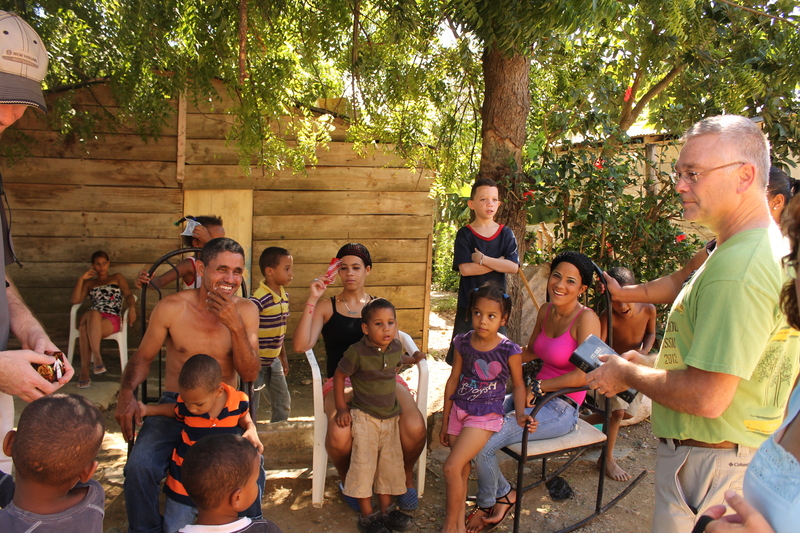 If you have interest in traveling with us to the Dominican to serve, we would love to talk with you. Sharing God’s Word with the wonderful people of Santa Lucia. Our summer mission team will combine with Mount Pleasant Baptist and Salt and Light Baptist churches to serve the community in and around Lynch, Kentucky. We’ll invest time sharing God’s love with local kids and teens as well as serving a local food pantry ministry. We’d love for you to join our mission team this summer. Contact mark@SligoBaptistKY.org to learn more. Our team serving the neighborhood at the BLOCK PARTY! We journeyed to Boulder, and Lafayette, Colorado to serve in a neighborhood there doing various projects. The trip was a great success! We saw God do great things! Lives were changed . 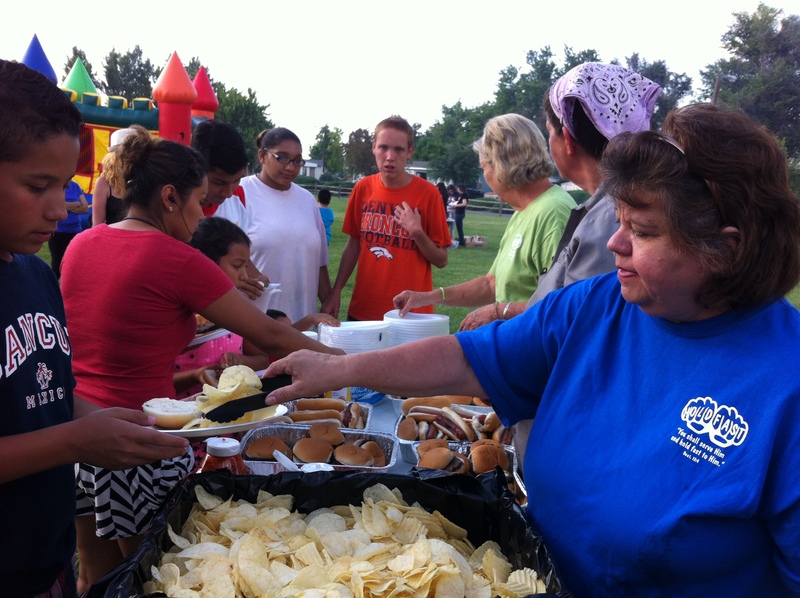 . . not only people in the neighborhood where we served, but people on our mission team as well. God is Good! Part of our mission team celebrating our arrival at the state line. For details about our next mission trip to Colorado, contact Mark Brockman at the address below. 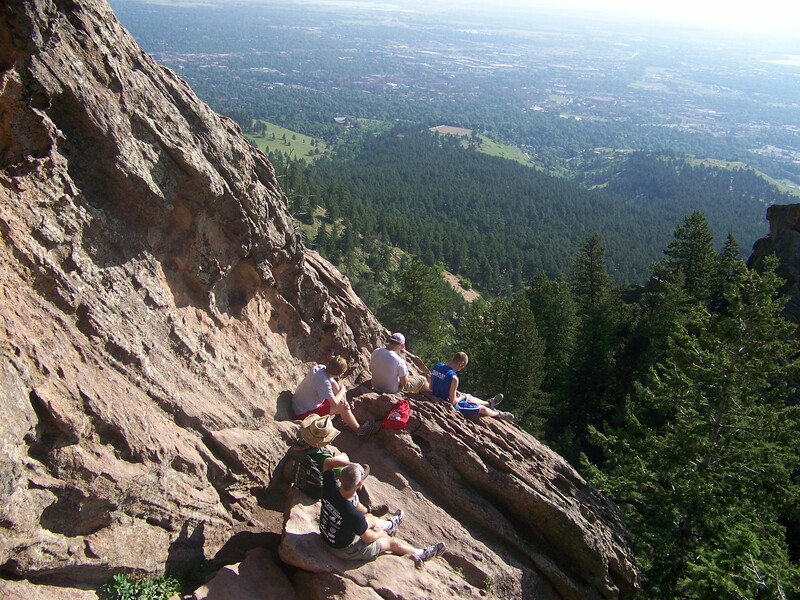 We do get in an early morning hike or two while the team serves near Boulder.